On December 15, a trade and investment promotion workshop was held in the Czech capital city of Prague. The event was organized by the Vietnamese Embassy in Czech in cooperation with the host Ministry of Industry and Trade and the Czech Confederation of Industry and Transport. The event was aimed at providing relevant information on markets and cooperative programs between the two countries in the near future. Speaking at the event, Czech Deputy Minister of Industry and Trade Jiri Koliba said Vietnam is an important economic partner of the Czech Republic and the country’s Ministry of Industry and Trade has selected the Southeast Asian nation as one of its 12 top priorities markets in Asia by 2020. 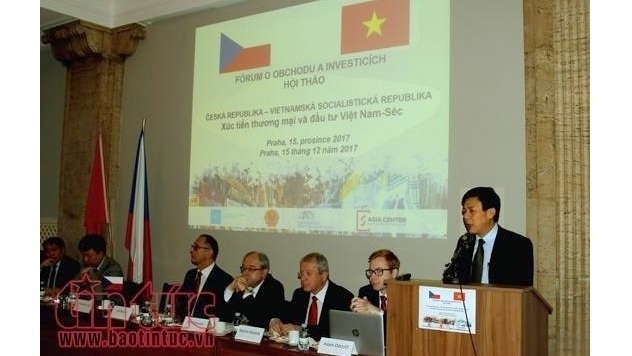 In his speech at the workshop, Vietnamese Ambassador to Czech Ho Minh Tuan affirmed that Vietnam and the Czech Republic have established a traditional friendship for over 67 years, and the good political and diplomatic relation is the basis for promoting the economic - trade cooperation of the two countries. According to data from the Czech Statistical Office, in recent years total annual bilateral trade turnover has increased from US$755 million in 2015 to US$912.5 million in 2016 and is expected to reach US$1 billion this year. 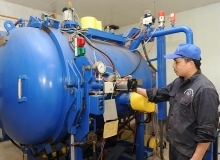 However, in the field of investment, as of November 2017, the Czech Republic has 36 new investment projects in Vietnam with a total capital of about US$110 million; while there are only four investment projects in Czech by Vietnam with a total registered capital of US$5 million. Ambassador Tuan said that the figures are too modest and are not corresponding to the potential or the expectations of both sides. One of the reasons, according to the diplomat, is that the two countries' businesses do not have enough information about each other market to make decisions in their business strategies. 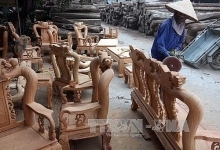 For the host, Deputy Minister Koliba said that in 2018, there will be a meeting between the two countries’ Intergovernmental Committee in Hanoi and this will be an important activity to promote bilateral cooperation, especially in the fields of investment, industry and energy. 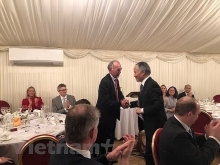 He expressed his hope that the event would help Czech businesses understand better the investment and business environment in Vietnam, thus opening up new opportunities for cooperation in the fields of economics, trade and investment to benefit of both parties. Senior official in charge of Vietnam market under the Ministry of Industry and Trade of the Czech Jaromir Dudak emphasised the role of such seminars, in helping the businesses of the two countries learn about each other's market, saying that the information would help Czech businesses learn and thus enter the Vietnamese market effectively. He added that Czech companies are always ready to provide industrial products and those related to infrastructure development in Vietnam. They are also interested in cooperating in the field of mining, while their Vietnamese partners are also provided with information on the potential cooperation from the Czech side in the near future, he affirmed. At the workshop, Czech businesses were provided with the most up-to-date information on incentive policies and priorities in investment and trade, as well as priority projects for attracting foreign investment in Vietnam. Participants also exchanged ideas and shared experiences of several Czech companies operating in various fields in the Southeast Asian country.